Enlarge / Mutants defending their camp. After going decades without a proper Fallout tabletop title, we’ve now been graced with two quality releases in the span of a little more than a year. 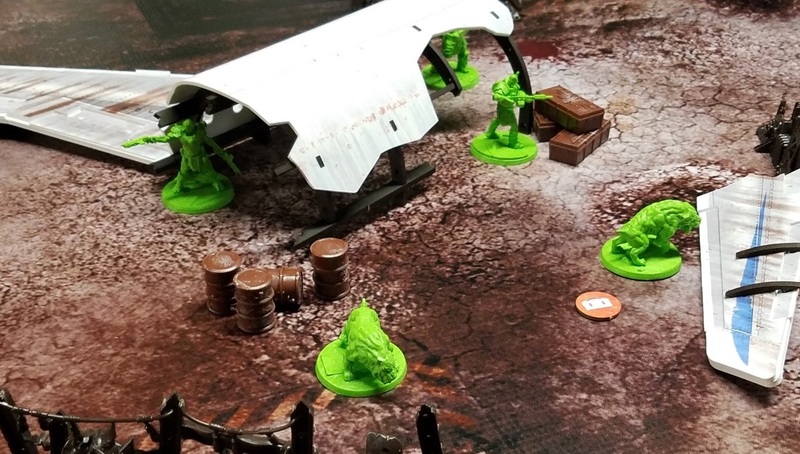 While Fantasy Flight’s offering is a narrative adventure game about roaming the wasteland, Modiphius’ new Wasteland Warfare is a miniatures skirmish design that features grizzled war bands clashing in harrowing environments. (Think Warhammer, but we swap Space Marines for the Brotherhood of Steel and Orks for Super Mutants.) At the risk of making you cringe, I’ll say it: the game is pretty rad. Because this is a true miniatures game, it requires some work. The two-player starter set comes with pre-assembled plastic miniatures, but expansion figures are multi-part and will require assembly. You will fight with 6-12 of these figures over the stretch of an hour or two, and you will need to supply your own terrain for the brutes to battle over. It’s a commitment, as these games tend to be, but one that promises a deep and immersive experience in return.